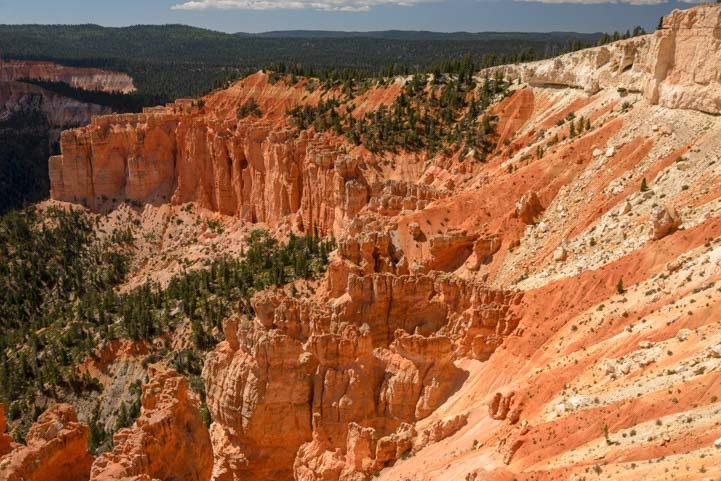 September 2016 – Our stay in Bryce Canyon National Park had been a wonderful immersion in orange and pink spires along the Rim Trail and on the new bike path that runs between Red Canyon and Inspiration Point. We’d even found a waterfall at Mossy Cave. 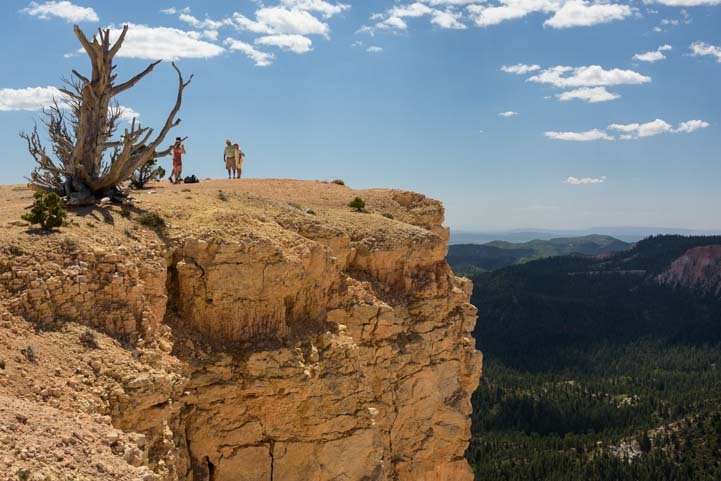 At the far south end of the Bryce Canyon National Park, we hiked the Bristlecone Loop around Rainbow Point. We didn’t see a rainbow over the canyon, as we had at Fairyland Point, but the views were sensational. 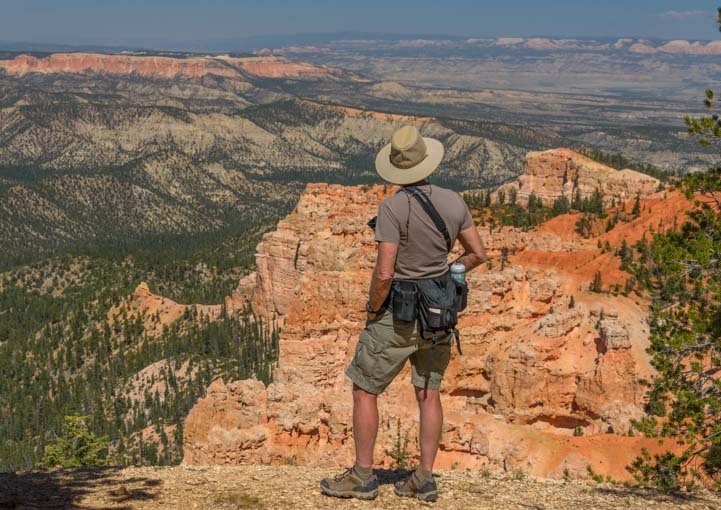 Rainbow Point, Bryce Canyon National Park. 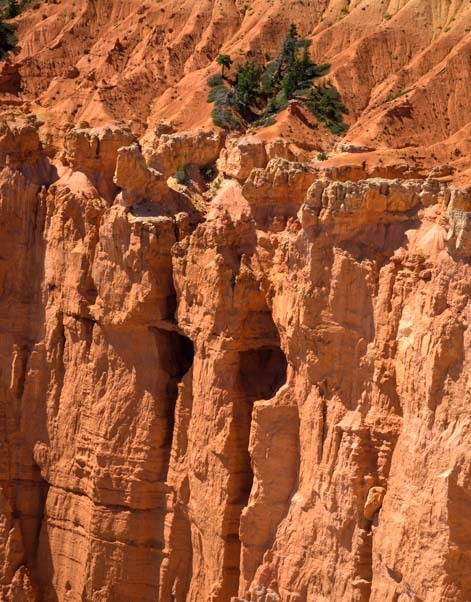 The orange and red rock cliffs had interesting windows and holes carved in their sides. Mark nudged me as we stared across the canyon and said, “See the Alice Cooper eyes over there?” Sure enough! 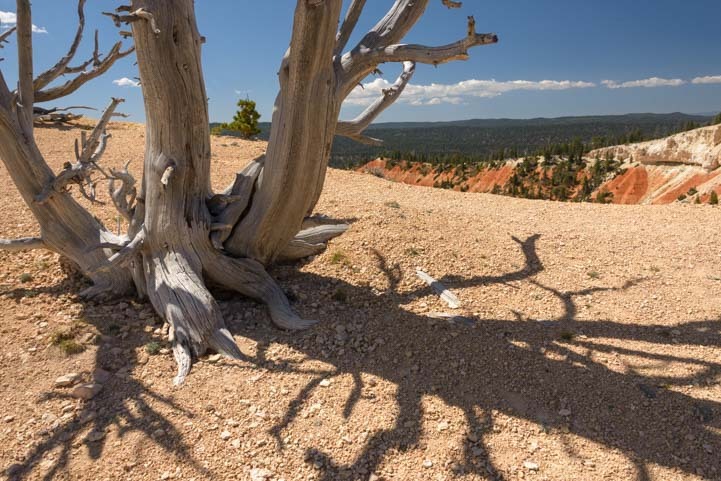 This end of Bryce Canyon is the highest point in the whole National Park, about 9,100 feet in elevation, and it is just the kind of wind blown, rocky place that ancient bristlecone pines love to make home. 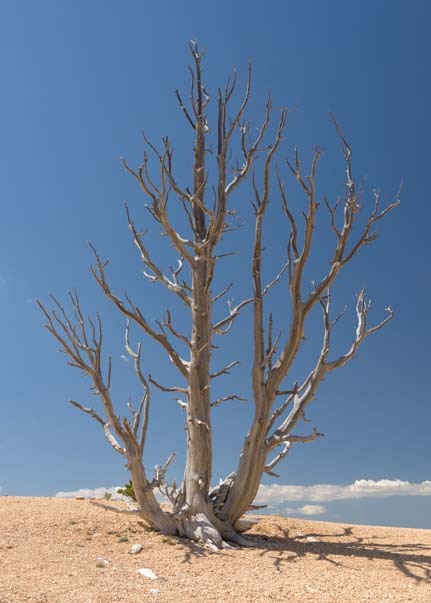 As we walked out on a bluff, we came across a large stand of bristlecone pine trees that had finally given up the ghost. 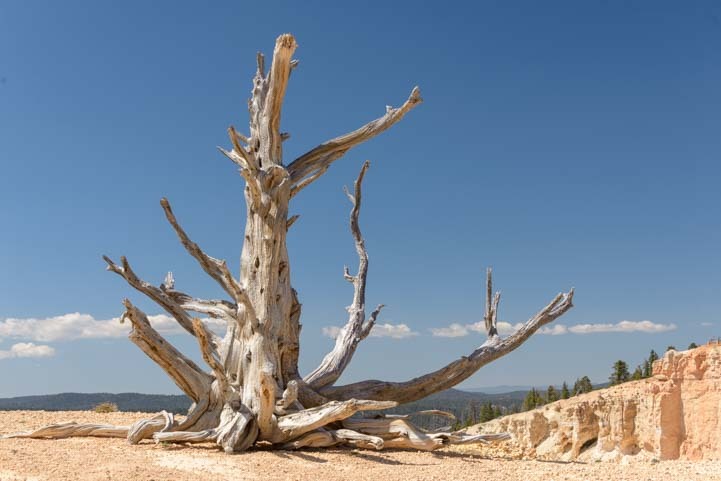 Unlike the living 1,600 year old bristlecone pine we’d seen a month earlier at Cedar Breaks National Monument whose gnarled branches were vibrantly alive and covered with soft pine needles and pine cones tucked into its craggy skeleton, these trees were totally bare. They stood together, as if continuing an ageless conversation that had begun long ago, and their wood was bleached by the sun. 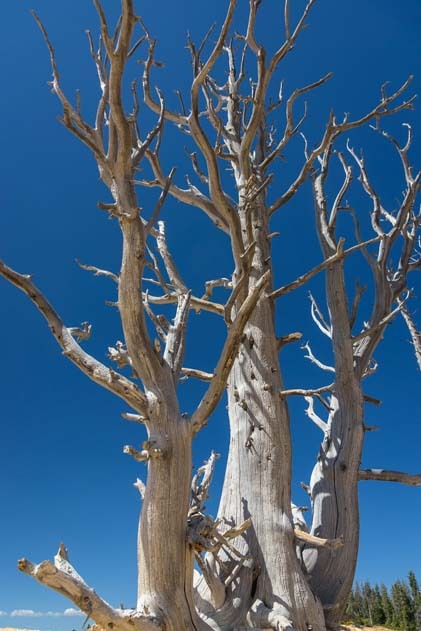 The stand of bristlecone pines numbers just a few dozen trees, but each raised its branches to the heavens in its own graceful way. At our feet, the trees cast beautiful shadows across the ground. 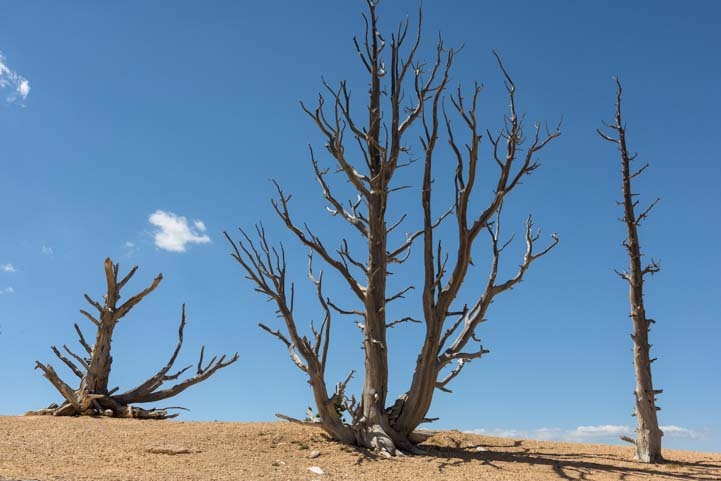 The trees stand near the edge of a sheer cliff, and as we walked along the rim and looked back, we got an eye-popping view of the scale of people standing on the cliff, the tree skeletons, and the huge drop down. Back near the start of the trail we came across a group of people staring intently into the woods, their cameras and cell phones held high. Tip-toeing over to join them and see what they were looking at, we saw a beautiful buck nibbling on leaves in the bushes. 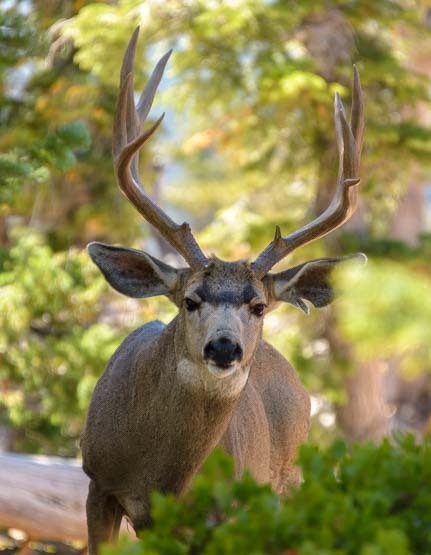 He paused to stare at us all and then went back to munching the tender leaves. 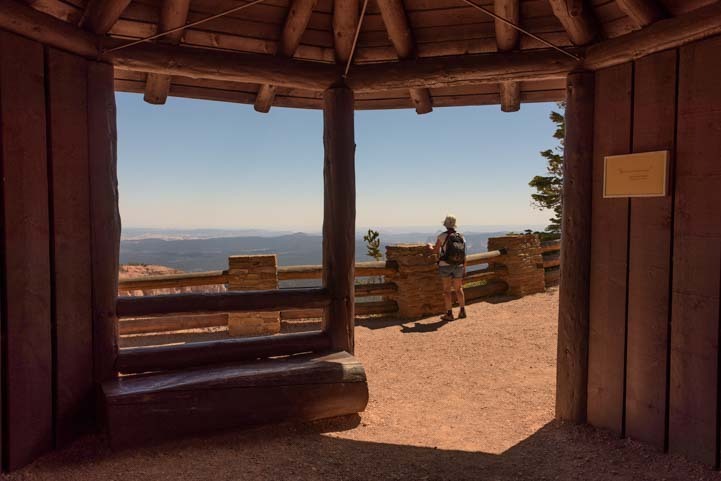 We wrapped up our hike around the Bristlecone Loop and began to say our sad goodbyes to Bryce Canyon National Park. 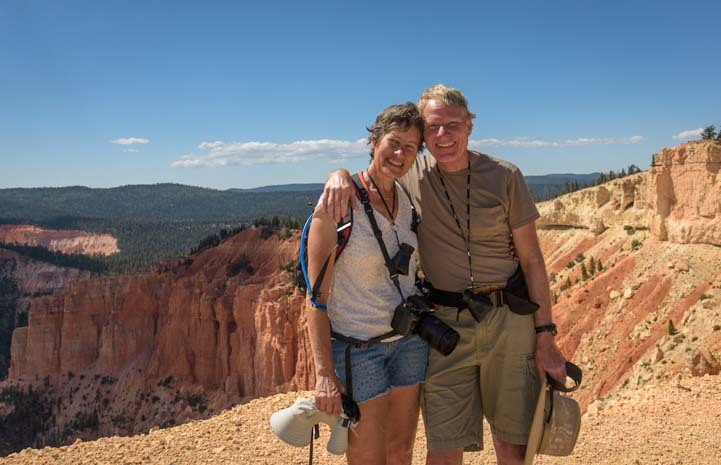 Bryce Canyon’s siren song will lure us back again and again. 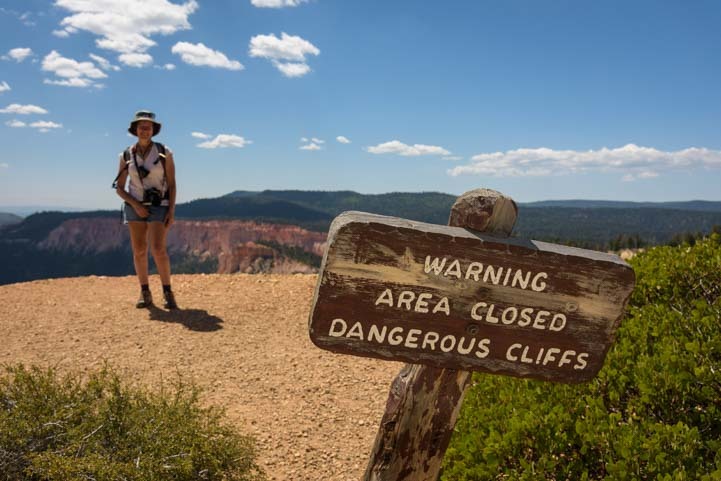 This entry was posted in Utah and tagged Bryce Canyon National Park, National Parks US, New, Travel, USA, Utah, Utah Southern, Utah Southwest, WP Travel by Roads Less Traveled. Bookmark the permalink. Seems you guys are never going to get out of Bryce. Can never get enough photos and memories there. Of course, I’m sure you are already on to other great places by now. 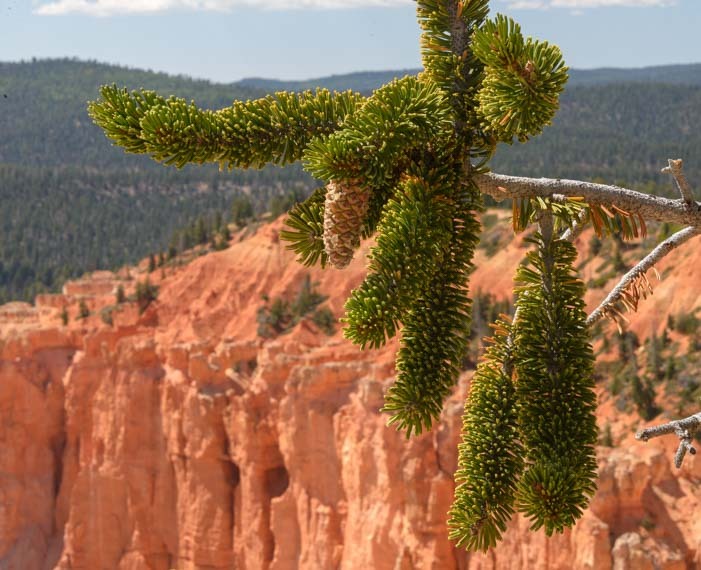 Think I have already mentioned…..Bryce is my favorite National Park. Thanks for sharing. So beautiful all the time! Oh gosh, Rose, I am always behind on our blog because it takes time to sort through our photos, choose the best ones, and tell the tales. So at this point I am 7 weeks behind and we have done many wonderful and exciting things since we left. In the past I would skip over places to try to catch up, but I think the photos and stories are timeless, and who cares if they are little late in arriving on this blog. They will be enjoyed by readers for years to come! Beautiful photos of what appears to be some very warm territory! Just the color of the scenery exudes warmth!